Is it possible to change my yahoo mail id from yahoo.co.in to yahoo.com ? If anyone know had this problem, please help me to rectify the error. while I run the coldfusion template I am getting the following error. Either the Macromedia application server is unreachable or it does not have a mapping to process this request. I am working CFX_tags. I created complied java class program MyHelloColdFusion. When I am trying to call that as . It gave the following error. The CFX custom tag 'CFX_MyHelloColdFusion was not found in the custom tag database (the database is stored under the 'Allaire\ColdFusion\CurrentVersion\CustomTags' Registry key). Please be sure to add custom tags to the database before using them. If you have added your tag to the database then you should check the spelling of the tag within your template to insure that it matches the database entry. Let me know your thoughts on this. Unable to find where the error is , Suddenly the Application is not running,While seeing the WebServer Log, the message shows "Request canceled or ignored by server Server busy or unable to fulfill request. The server is unable to fulfill your request due to extremely high traffic or an unexpected internal error. Please attempt your request again (if you are repeatedly unsuccessful you should notify the site administrator). (Location Code: 26)" and "Error occurred while attempting to start service. Windows NT error number 1056 occurred." and "An error occurred while attempting to establish a connection to the service. Windows NT error number 2 occurred." continuously. How do you handle session and client variables when clustering? Certain sites that i visit are continously stating that the server is too busy to handle the traffic it is receiving. What I want if it is out there, is something that will continually refresh or attempt to get in... Anything come to mind? Why is it that my server won't load the chat room, but can still check my e-mail and stuff? have you run across a cold fusion Server Busy error. Do you have any ideas what may be causing it? Is it possible to install IIS and ColdFusion server in 2 different machines ? Why won't it let me into my hotmail account. It attempts to get on but a little box appears and then it all goes away in like a second.. and it just repeats this process over and over. How can I stop being ignored by another Yahoo! Mennenger user? And why can't my new ID, which I made on the fifteenth of July two thousand two Anno Domini, be used in Yahoo! Chat 2.0? What do you do when you see: ============= Error Occurred While Processing Request Error Diagnostic Information Request canceled or ignored by serverServer busy or unable to fulfill request. The server is unable to fulfill your request due to extremely high traffic or an unexpected internal error. Please attempt your request again (if you are repeatedly unsuccessful you should notify the site administrator). (Location Code: 26) Please inform the site administrator that this error has occurred (be sure to include the contents of this page in your message to the administrator). I get this error when using cffile load of file size 14k. Thanks. it, does not work though. any suggestions? How can i grab ONLY the location of a file on a local network? I have tried using CFFILE but the only way i can use this is via the "upload" action - not practical for files of > 100mb Thanks. I am working CFX_tags. I created complied java class program HelloColdFusion. When I am trying to call that as . It gave the following error. The CFX custom tag 'CFX_HELLOCOLDFUSION' was not found in the custom tag database (the database is stored under the 'Allaire\ColdFusion\CurrentVersion\CustomTags' Registry key). Please be sure to add custom tags to the database before using them. If you have added your tag to the database then you should check the spelling of the tag within your template to insure that it matches the database entry. Let me know your thoughts on this. Ironically, I am load testing my app right now at a customer site and seeing CF choke when we have 6 machines hitting it, with each machine simulating 5 users. Please add this to the list for the panel....What do you do when you see: ============= Error Occurred While Processing Request Error Diagnostic Information Request canceled or ignored by serverServer busy or unable to fulfill request. The server is unable to fulfill your request due to extremely high traffic or an unexpected internal error. Please attempt your request again (if you are repeatedly unsuccessful you should notify the site administrator). (Location Code: 26) Please inform the site administrator that this error has occurred (be sure to include the contents of this page in your message to the administrator). ============= A 30 concurrent user load on a single server and I'm all over! I would like to hear someone discuss Microsoft Web Application Stress (WAS) and how it can be utilized to load test a CF app. I would also prefer to hear more on IIS 5.0 tuning for load. What are the differences between using a hardware load balancing and a software solution? Specifically if I used hardware, such as Cisco Local Director, would I also need to purchase Enterprise CF or would CF Pro be sufficient (not withstanding the other benifits of Enterprise)? Is Enterprise faster than Pro? I help manage a web site that has recently grown from one server to three. I am getting complaints that AOL users lose their shopping carts when the proxies change their IP addresses. We are using Cisco's Local Director for load balancing, and a SQL 7 database server on the back end. The following link talks about Coldfusion as being the most productive choice for development. Please talk about your real world experiences with hardware configurations and the maximum number of concurrent users per clustered system? What number of concurrent users did you start out with and what types of modifications allowed you to handle more concurrent users in subsequent releases of your application? "http://www.zdnet.com/enterprise/stories/linux/0,12249,2646052,00.html"
What kind of penalty in performance are we going to see in the real world when scaling an application from single server "Session" variable based to clustered "Client" variable based? Is there a base metric that can be used that says "X Session variables replaced with X Client variables will result in the page taking Xms more time to process in the following configuration"? What risks are involved in using a Hardware Load balancer (BIG-IP)? If "sticky" connections are used, can the application safely use "Session" variables rather than "Client" variables? What do I tell the clients I am losing now because Allaire has not delivered on it's promise of a CF/JRun merge by the end of the year? What is the limit for how many verity collection you can have on one web server, since we have many intranet application on same server? How can you improve verity indexing? How can I get cffile to upload a file to all servers in a clustered environment? What is the best way to keep track of the users who are "currently logged in" in an application that has hundreds of users logged in at any time? If the user exits their browser without logging out first, is there a way to automatically log them out other than the onUnload() method? Which load balancing technology is best? Is the Bright Tiger clustering software that comes with CF Server Enterprise worth using or should I buy something better? 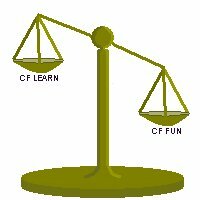 Will I make more money if I become a JRun expert(vs CF) over the next two years? How can you deal with scopes that reside in memory such as the application scope in a clustered environment to make sure that all servers are in sync with one another and consistently update data with each other? How do I securely track a user session when I must pass the CFID and CFTOKEN in either the URL or as a Cookie (both of which are open to tampering)? Do you have any experience integrating CF with TimesTen products? How to use the MVC architecture on a CF-based project? Does it really make the application more scalable? What are the CF configuration recommendations when clustering SQL Server? Should I have to turn off "maintain database connections" to survive after a failover? Consider an application with lots of SQL INSERTs. How will SOAP effect WDDX and CF? What about BizTalk? Can CF work with any XML type or just WDDX? What are some tried and true methods of deploying code to multiple servers? Can different OS's (Linux, NT) be part of the same cluster? If so what are some of the issues? Are there any drawbacks to using a single centralized database/source as the client variable repository? When scaling from a single server to a clustered environment, what are some of the key concerns with cached queries? At what number of users does network bandwidth become an issue? Which has the fastest execution time... Java CFX, C++ CFX, COM? On a multi-processor server, where does ColdFusion peak out? In other words how many processors can CF utilize efficently? Does this differ by platform? Should I use CFX, or COM objects to handle iterative, or recursive operations? Is there a clear indicator of when I should upsize from Access to SQL Server, or another more powerful Database engine? What's with the new support in CF for hardware based load balancers? If I am only running Access databases does it make sense to move them onto another machine? Should I seperate my Database Server, and ColdFusion Server onto different machines? How do you consolidate web server statistics over a cluster (with each machine keeping its own independently)? What are some free clustering/load balancing solutions for Windows NT and Linux? What is an "image server"? My CF server already handles images. Is Round Robin DNS any good? I've heard it has problems. But it's free and all I can afford. Is there a difference between the terms 'Load Balancing' and 'Clustering'? Is there a limit to the number of servers that can be clustered together? What's the best way to make sure my .cfm files are always current on all my web servers? When should I consider investing in a hardware solution? What are some clues that will tell me that I may have some scalability issues to deal with on the horizon? What is the difference between scaling 'Tall' and scaling 'Wide'? Which is more practical for small/medium size sites? How does scalability create management problems (regarding the number of servers, security, etc)? How much of an affect does hardware have on my CF server? If I have multiple processors, more ram, faster hard drive etc, will that dramatically change things? What are basic scalability concepts for web applications (things we should be doing regardless of the platform being used)? Can anyone comment on the merits of using WLBS vs ClusterCats? Is ClusterCats that much better? Do you get a performance hit from using Fusebox? What is a "middle tier"? What are the differences between the big databases like SQL Server/DB2/Oracle? What are the various ways of clustering ColdFusion servers?